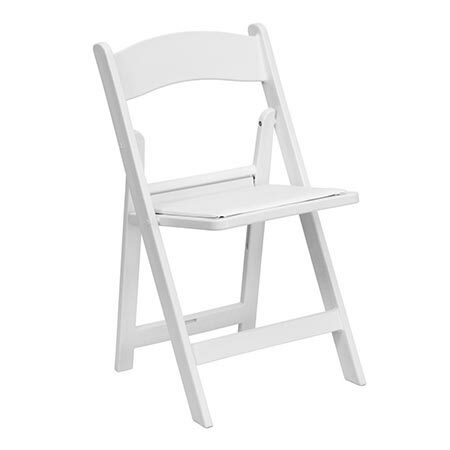 As comfortable as it is convenient, this chair’s simple, elegant design makes it a versatile option for any event, with the ability to style chairs to go with any decor. They are easily placed next to another for optimal seating at large events and the built in cushion keeps guests happy if your event happens to go long. There are several color options to choose from: fruitwood, natural wood, and white resin, which is especially good for outdoor weather.